Shrimp kebabs are an easy way to give great barbecued flavor to shrimp and vegetables. The easiest way to barbecue shrimp is actually on skewers, because they become infinitely easier to manage and flip. You can barbecue the shrimp on the kebabs with the shells on or off — either works fine. 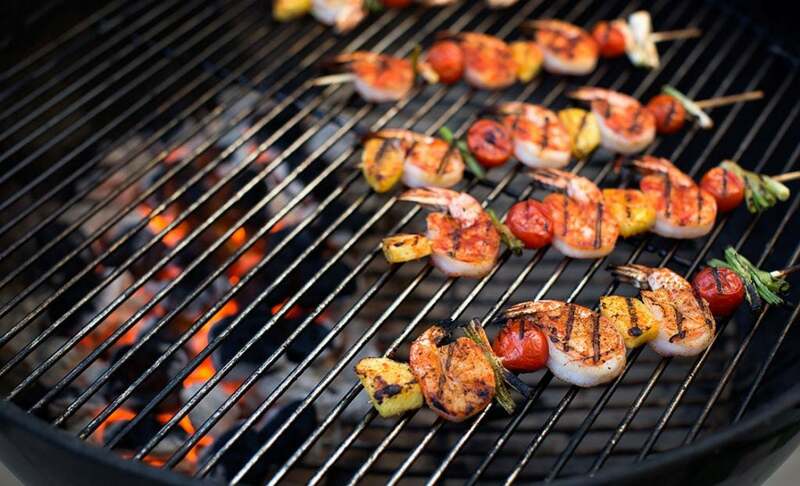 Add some fresh vegetables or fruit to your shrimp skewers and you have a fantastic barbecued meal on a stick. Here’s how to make them in just seven steps. Readily available in most grocery stores, bamboo skewers are inexpensive and perfect for shrimp kebabs. However, because they are made of wood they can easily catch fire while barbecuing. 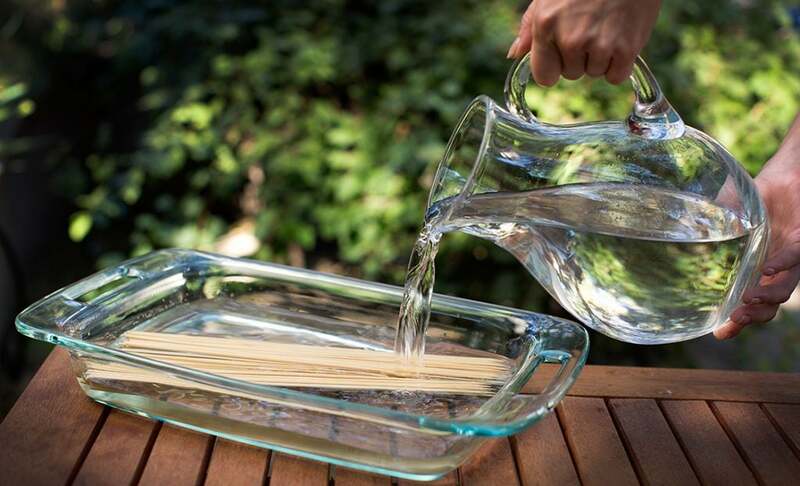 To prevent this, simply soak the skewers in water for an hour prior to barbecuing. You will barbecue the shrimp skewers over a two-zone fire. Fire up the coals, and once lit, pile them all onto one side of the BBQ. Leave the other side completely empty. You’ll sear the shrimp kebabs over high heat, but you can still move them over to the cooler side in case of a flare-up. Barbecue your shrimp skewers directly over the coals on the hot side of the BBQ. Shrimp don’t take long to cook—only two to three minutes per side—so don’t load up the BBQ with too many skewers at once. Cook them in batches so you can flip them and move them aside in case of flare-ups. If you are using particularly large, meaty shrimp, you may need to let them finish cooking through on the cool side of the BBQ. You do not need to rest your shrimp kebabs, just serve them hot off the BBQ. Shrimp kebabs go great with leafy green salads for a lighter meal or paired with hearty pasta dishes on the side. Fire up your kebabs with America’s favorite—Kingsford® Original Charcoal.